A BLOG ABOUT BALANCING LIVING TO EAT WITH EATING TO LIVE. 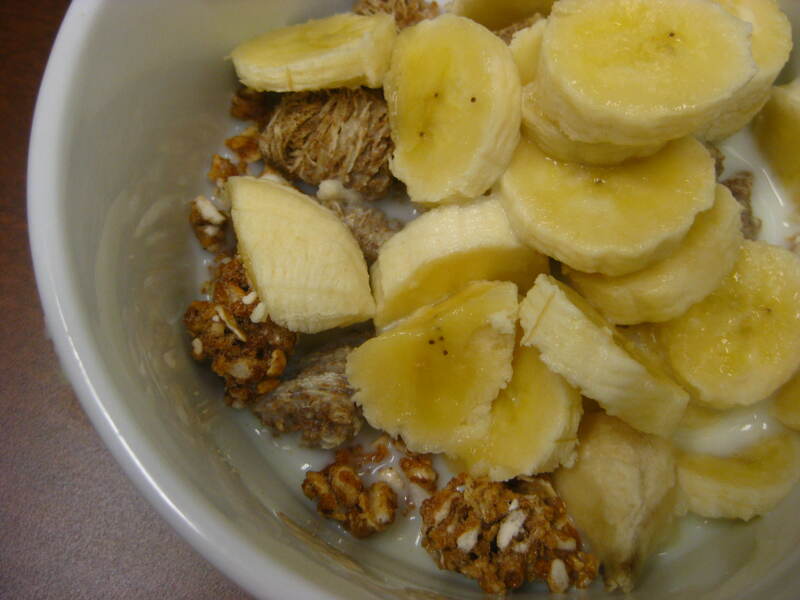 Breakfast today was a repeat but never the less stellar combination of Kashi Crunch, Kashi Cinnamon Autumn Wheat, Banana, Organic Milk. 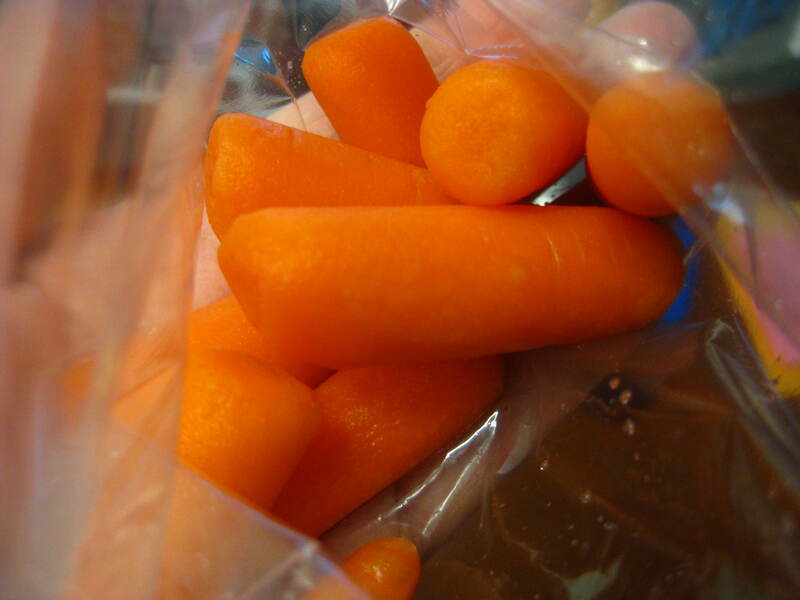 Pre-Lunch Appetizer of organic baby carrots. Lunch was reaallly good, like exceeded all expectations kinda good. 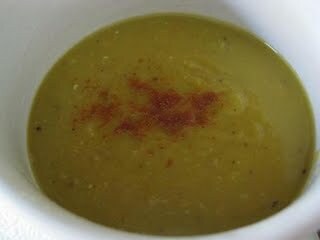 I tried my first Amy’s Organic Soup–the Low fat Vegan Split Pea Soup variety. Amy’s got it going on! This soup was fantastic and I swear I could pass it off as homemade! Served with something I’ve been dreaming of since last night’s dinner. 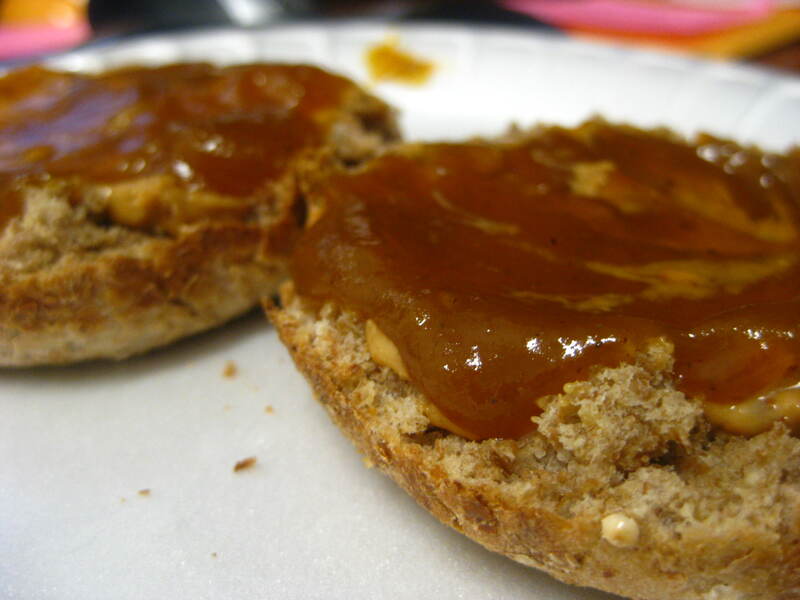 Ezekiel English Muffin topped with Naturally More and Trader Joe’s Pumpkin Butter. I didn’t make it to the gym this morning…I blame a warm bed and no sun-light. I love your header…except it makes me want some Xmas cookies asap! !